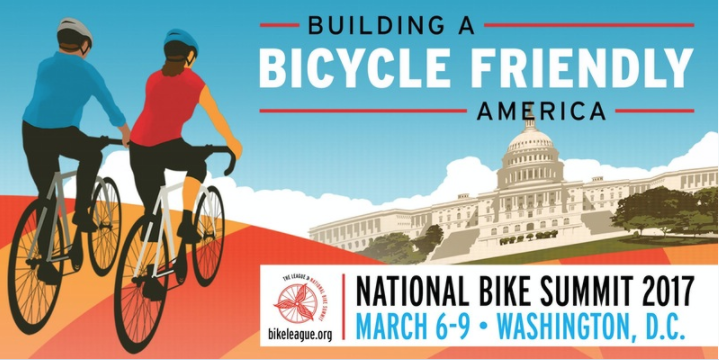 The National Bike Summit, a bicycle advocacy event featuring workshops, speakers, and an organized lobby day, will take place March 6-9. Given that there is a new president and U.S. Congress this year, those interested in the Summit have a unique opportunity to get some work done. There has been a history that when Republicans are in the majority in the U.S. Congress that bike/ped funding sources are either under threat or making Transportation Alternative Program grants not available for bicycling and pedestrian safety programs. The final day of the Summit is a lobby day, and anybody who attends the entire conference – and even those who do not – can visit their representative and speak to them about keeping, and increasing, funding for bicycle and pedestrian infrastructure.